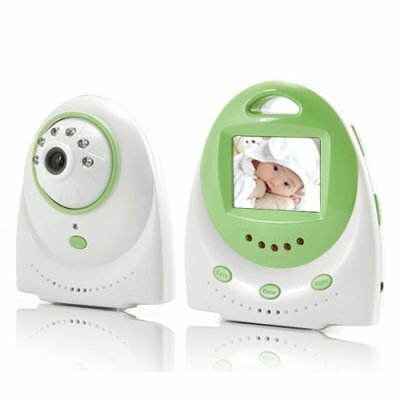 Successfully Added Baby Monitor - Two Way Audio, Temperature Alarm to your Shopping Cart. This multi-function Baby Monitor allows parents to see, as well as hear, their baby while moving around the house and is ideal for check-ups without waking him or her. The wireless baby monitor gives you the freedom to watch TV, listen to music, entertain guests, do household chores, exercise, or sleep with the assurance that you'll always know when your baby needs you. 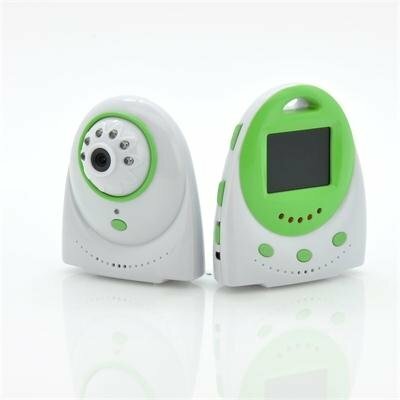 IR lights for night vision, a temperature sensor/alarm, and two-way talking (meaning you can both talk to and listen to what the baby is saying) are also included to make sure your baby is completely safe and healthy, features designed specifically with you and your baby's needs in mind. This wireless two-way baby monitor with night vision is easy to use and requires no installation. Just place the camera in view of your baby's area, pick up the wireless receiver, and start spending less time worrying and more time relaxing. With two way communication, you can ensure your baby that you are nearby to ease the little one and then continue what you were doing. An AV output is also available for connection to your television, so you can see everything on your large screen TV while going about your business. on 2011-08-14 22:40:12 it works perfectly.